What is Stand Against Racism™? Stand Against Racism™ is a movement of YWCA which brings together like-minded organizations that share in our vision of eliminating racism and celebrating the richness of diversity. By inviting community organizations to partner with us, we expand the impact of this vision, attracting hundreds of thousands of participants. The annual Stand Against Racism™ , which takes place the last week of April, encourages conversations across diverse communities in the USA. The power of our unity throughout the country as we raise our collective voices to rid our society from the plague of racism; and until the day when racism is eliminated, we have a lot of work ahead of us! 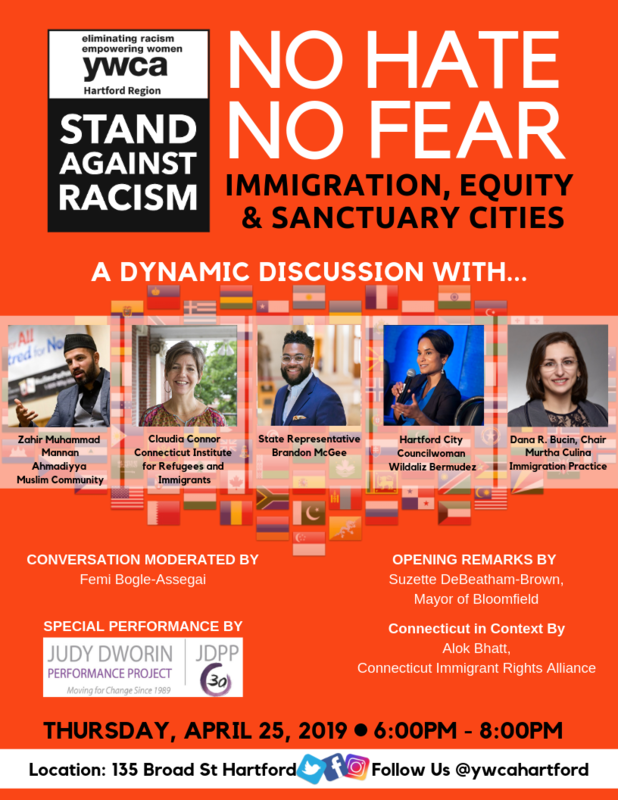 Friday, April 26, 2019 7:00pm – 9:30pm 1214 Main St Hartford, CT 06103 Join YWCA Hartford Region as we Stand Against Racism during Family Stand Night at Dunkin Donuts Park. The Hartford Yard Goats, in collaboration with YWCA Hartford, is dedicating the April 26l game to help raise awareness on the issue of racism and promoting a call to action for our community to stand together. During the event families will have an opportunity to learn about YWCA Hartford Region’s programs and services, participate in a solidarity banner signing and take the pledge to stand against racism. We invite organizations and groups of any size to become a Participating Site of the Stand Against Racism™ by hosting a "Stand." A "Stand" is an event, private or public, hosted by your organization/company/school/church where participants gather to take a pledge to Stand Against Racism™ . Thank you to all of our participating sites!